Are you a small, socially engaged organisation? Do you want to promote the great work you do using video? You have no money to commission a promotional video nor enough confidence or equipment to produce in-house engaging video content? Do you have your promotional video idea in mind and need help to make it real? Spectacle wants to support you by skilling you up while helping you produce your amazing first promotional video! We are a small, socially-minded company whose profits go back in to funding our community based work. We therefore want to support other organisations with a bespoke programme that will help you produce your first video while being trained in video making. We have applied a generous discount to our standard prices in order to help you reach your aims and to contribute to your success. Spectacle is an award winning independent television production company specialising in documentary, community-led, investigative journalism and participatory media. Spectacle’s documentary work has been broadcast and exhibited internationally. We have produced work on commission for clients including Amnesty International, the Joseph Rowntree Foundation, the Howard League for Penal Reform, Council of Europe, Groundwork, the London Health Commission, the NHS, Big Local and the Wellcome Trust. As well as undertaking productions, Spectacle runs short, sharp, affordable training courses and community based media workshops. We are based in London but can travel within Europe to deliver bespoke group sessions. We believe our courses are the best around, largely based on the exceptional feedback we have received from the hundreds of people we have trained over the years. You will have your first video professionally produced by an award winning production company. You will also learn how to make your second video, building up confidence and practical knowledge that will scale up your outreach and marketing strategies. We are offering a bundle of services that will guide your staff (up to 8 people) through a specifically designed programme of training and production based on your video project. You will attend practical workshops on video making and you will be assisted in your real shoot by our director. 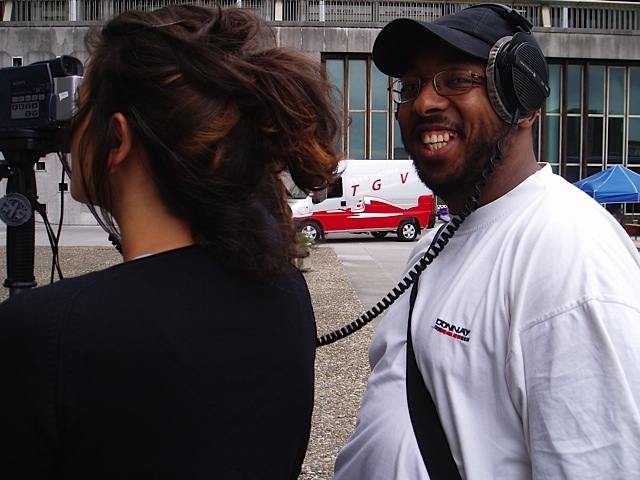 You will have complementary equipment (second camera, audio recording, lights) and extra crew if needed. Then we will train you on how to effectively use video editing software, sitting together in front of your project to get the editing process started. Our professional editors will finalise your video and guide you through uploading and promoting it on you social networks and media platforms. We are offering two options, depending on how confident you are already in video making and on the nature of your projects. Are you an academic researcher, PhD student, PostDoc fellow seeking to boost the impact of your research? Do you wish to improve the originality of your research proposals in humanities, science, arts, social sciences? Why not include a video outcome in your funding application? Other academics are already using media production to enhance the impact of their research in many ways. Video can be used either to monitor the research process and report research results, or it can be integrated in the research methods as strategy to collect original data that can be easily analysed and disseminated. Spectacle has long experience in training academic staff in how to achieve quality video outcomes for their investigations. Recently we have trained anthropologists and social researchers of Edinburgh University, academic staff at Birkbeck, Comms departments at Oxford University, Cambridge University Press and King’s College. All of them gave us excellent feedback. Together with practical skills and confidence, they went away inspired and excited by the potential of incorporating video in their academic work in order to improve the impact of their scientific communications. Sorry for the long silence: Spectacle’s video training team has been extremely busy over the past few months! 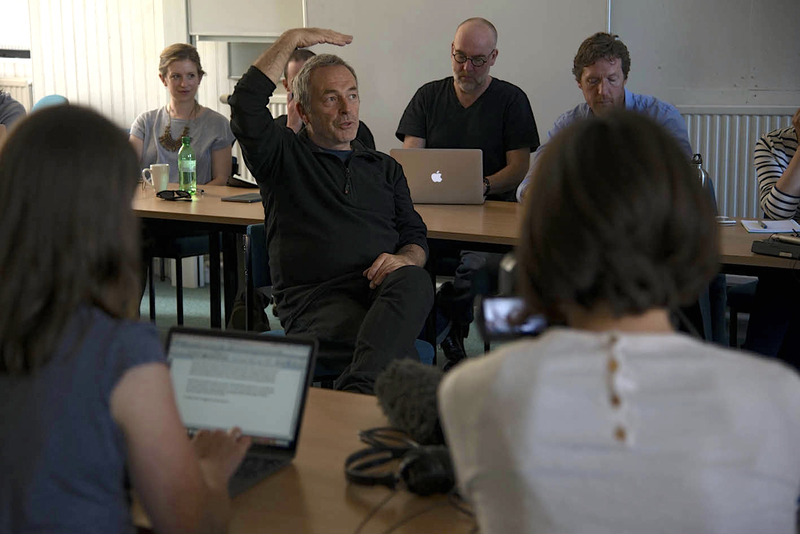 Alongside our usual sessions in London, we recently ran an extremely successful video production course for anthropologists and social researchers at the University of Edinburgh – and then another session shortly afterwards for media students at Birkbeck, University of London. The good news is, we are now taking bookings again for the new academic year! We can run bespoke short courses for academics (students and staff) on location at universities and institutes anywhere in the country, where a group of between 4 and 20 people want to learn how to use video for fieldwork. Over the years, we have trained hundreds of students and we continue to receive excellent feedback after every session. Our hands on approach equips students with the ability and confidence to go out and shoot on their own after our training. Our courses are flexible and can be easily tailored to your needs. We can arrange anything from a one day introduction to video production or editing techniques, to a full three or four days of training covering the entire filmmaking process from start to finish. We can schedule the course across consecutive days or leave intervals between sessions. We can also offer training in participatory video techniques. We also run weekend courses for individuals at our premises in London, with the next one scheduled for 23-24 September. 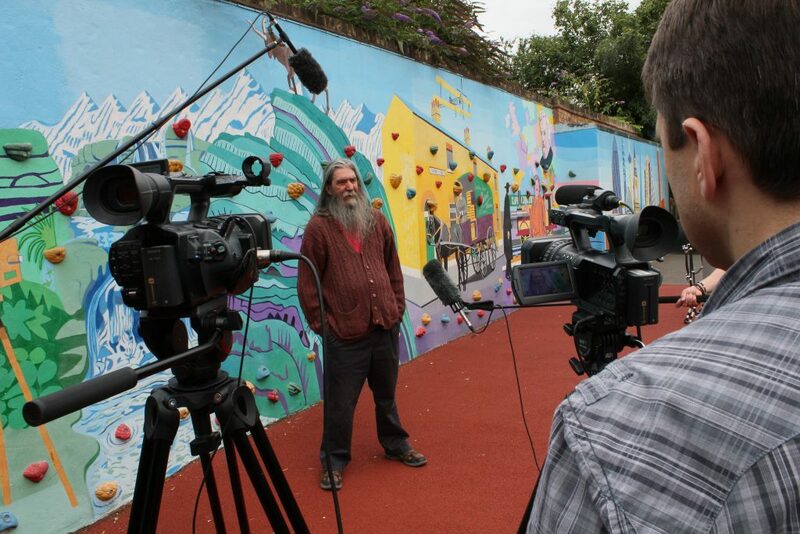 Want to know what it’s like to be part of a ‘real life’ project during our Four Day Filmmaking Course? Well, you’re in luck – a recent batch of Spectacle trainees shot some lovely footage on location at Thessaly Road Playspace in November, and production intern Lucia has kindly edited their shots together into this short video. …Want to join us on a “well designed”, “very comprehensive”, “hands-on”, “accessible and practical” short course – with “great atmosphere and content” – like this? 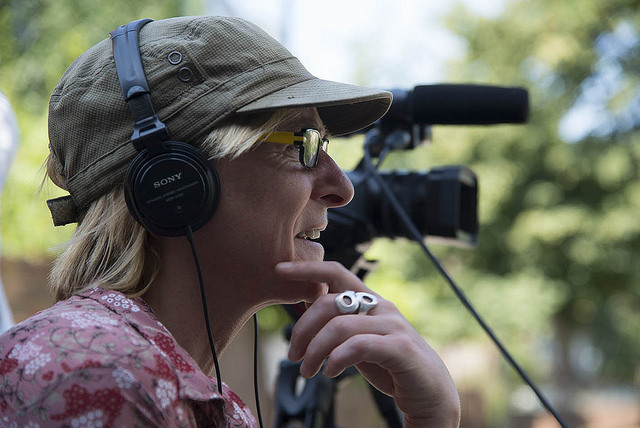 We still have spaces available on our next Four Day Filmmaking Course running 6-9 March. Or if you can’t make that, 2-5 May. Our Four Day Filmmaking Course takes participants through the entire digital video production and video editing process, from start to finish; that means we cover planning, filming on location, video editing using Final Cut Pro and Adobe Premiere, and delivery of a final edit online and on DVD, all in just four days. The course is unique in that it is centred around a ‘real life’ project. This means that we create a real world production process by collaborating with a mock client – usually a local charity or community group. This gives participants an unparalleled opportunity to gain meaningful, ‘on the job’ experience. The ‘real life’ project also means the Four Day Filmmaking Course is extremely hands-on; practical exercises on location are complemented by ‘view and critique’ and editing sessions in a workshop environment. As our most complete training programme, the Four Day Filmmaking Course is aimed at those who want to be introduced to a full set of digital media skills in a short space of time. Our aim is for participants to leave feeling confident enough in all their new skills to carry on practicing on their own, without the need for additional training. Each participant will have the opportunity to practice all aspects of filmmaking – camera, sound, directing, interviewing, lighting etc. There will be a maximum of 3 people to each camera set up. We use HD camcorders and DSLR cameras. The Four Day Filmmaking Course reiterates, puts into practice and develops the skills and techniques gained in our Video Production Weekend Course and can be taken either in addition to or instead of this. Professional filmmaker and teacher Mark Saunders leads all sessions himself. Could you benefit from professional help with your video project? Our training and consultancy services are extremely flexible. We want to help you with your project in the most efficient and effective way possible, be that through comprehensive training for beginners, production and post production services to fill the gaps in your skills or save you time, or simply advice on the best way to go about things. Our expertise in video comes from decades of experience in the industry. We understand that every project is different and everybody has different aims, abilities, and priorities. But in almost every case, we believe professional, expert consultation can help you to achieve the highest quality results yourself and to learn in the process. We’re always happy to speak about how we can help you, so to find out more email us to training@spectacle.co.uk. His company, MMRG, were looking to “action a series of informational videos within the medical field”. “I found the session we had with Mark very informative, full of insights and easy to digest. “Mark has an innate ability to communicate his experience and insights in an easy to digest and manageable manner. We found that the hours spent with Mark have moved our initiative forward and enabled us to consider other avenues that we did not initially think would be viable. Students, Academics, Course Convenors – Welcome Back! After a quiet summer, our Digital Video Production for Anthropologists and Social Researchers Weekends in October (8-9) and December (3-4) are filling up fast with students, researchers, and other academics keen to learn video skills for use in field research in a friendly, efficient, and affordable session. We offer a large student discount on all our courses, making the weekend £180 for full time students (who are paying for themselves). It’s £240 if your department is paying for you, or if you work too — still a bargain. 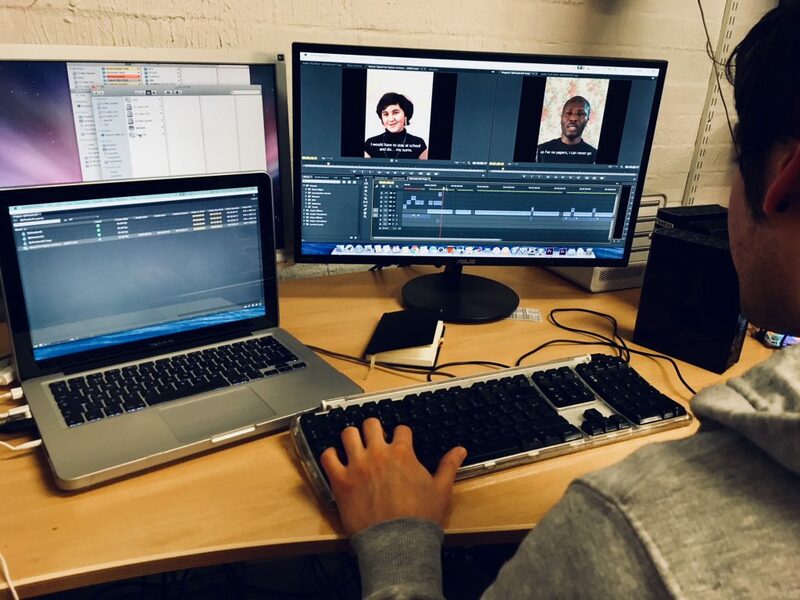 We have received great feedback from students and academics who have taken our courses in the past, and there’s the opportunity to buddy up with other participants and arrange affordable edit training following the production course. We also offer bespoke group training for university groups. We can travel to universities around the country and have taught groups at Cambridge University, Sheffield University, Lancaster University and many others in the past. We offer video training for journalists looking to upskill. There’s increasing demand on print journalists to develop multimedia skills, and video skills in particular can increase your employability. Since completing training with us, she has been living and working in Myanmar, producing videos in addition to writing for international media. Spectacle has a long history of establishing and supporting participatory community media workshops and a large number of our productions have adopted participatory video (PV) techniques and ethos, resulting in an excellent track record of high quality, award-winning TV documentaries, short films and powerful campaigning videos. We are happy to inform everyone interested in applying a participatory media approach into their community based projects, that it is now possible to share Spectacle’s experience taking part in our Participatory Video Workshop (PVW). Spectacle has made extensive use of Participatory Video as a successful strategy to involve communities in production processes, allowing people to produce knowledge about themselves rather than being represented – and often misrepresented – by outsiders. Recently one of the films that Spectacle produced through participatory techniques has been re-screened on the Pepys Estate: “Poverty and the Media: the tower”. The film shows the way in which local residents have felt misrepresented by the BBC ’s program The Tower: A Tale of Two Cities. The BBC’s program intended to document the transformation of the Lewisham council estate into a chic development and the alleged clash between rich newcomers and poor long term residents. 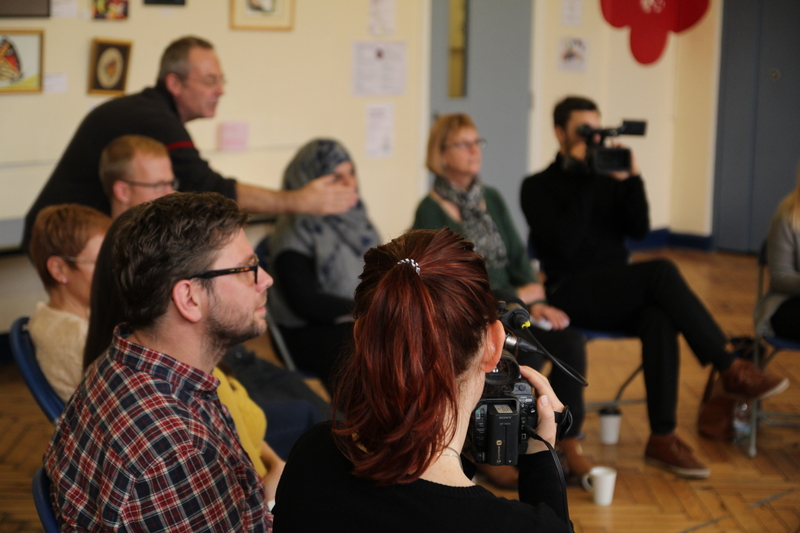 Spectacle, was commissioned by the Rowntree Foundation to develop a participatory video project in the Pepys and other estates in the area: “Poverty and participation in the Media“. At the time the BBC project begun, Spectacle was already organizing video workshops that focused specifically on the way mainstream media (mis)represent poverty. 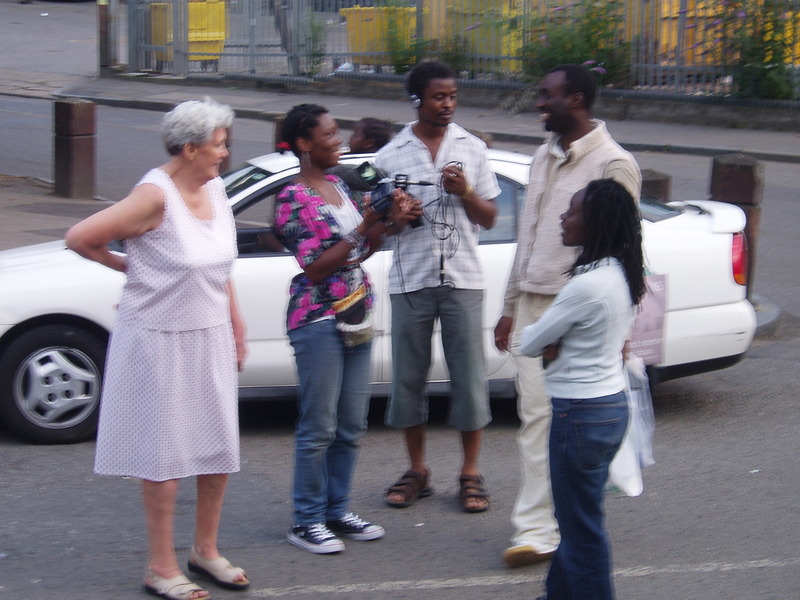 In our film Pepys residents have filmed each other while commenting on the effects the BBC’s program had on their lives. Spectacle’s “Poverty and the media: the Tower” illustrates the advantages of a participatory approach, highlighting the local dynamics in a way that is factually accurate and respectful of people’s feelings, intentions and views on the world they experience. Following the very positive feedbacks from residents and in order to meet the growing demand from community based researchers to be trained to lead participatory projects, we are happy to inform you that we are now offering a Participatory Video Workshop (PVW). Our PVW is addressed to social workers, NGOs’ and charity organization’s staff that are engaged in community development and empowerment, artists and, in general, anyone who wants to integrate participatory methods in their own projects. Based on our long experience, the PVW will provide you with practical and transferrable knowledge on video techniques, and train you on how to engage your stakeholders in participatory productions. The PVW is designed as 3 day immersive experience that will allow you to use participatory methods in documentation, evaluation and research. If you and your staff are particularly interested in specific topics, we are happy to bring our workshop to you and tailor it to your specific needs. Please, find here our workshop description or get in touch for further information. Do you want to learn how to produce and edit high quality video to promote your business, organisation, or institution? If so, you’re in good company: we’ve trained numerous individuals and groups from large and small institutions, organisations and companies in the past six months. All of them have left happy, and many have come back for more training.